Insect wings don’t grow back or heal, and a moth with a broken wing is never going to recover. If the moth is otherwise uninjured, you can look after it though. All the moth needs is somewhere quiet and safe, something to eat and something to rest on. Moths don’t live very long anyway, but you can provide it with a nice life for the time it does have left. Carefully catch the moth in the jar and place a piece of paper over the top to keep it inside the jar while you prepare a house. Place a twig with a couple of leaves in a box, such as a shoebox, to give the moth something to perch on. Mix 1 part plain sugar with 4 parts warm water in a bowl and stir until the sugar has completely dissolved. Soak one or two cotton balls in the sugar solution, squeeze until they are damp but not soaking and place in the box. Put the moth in the box. Cover the box with the cheesecloth and secure with the elastic band. This allows plenty of ventilation. Identify the moth in a guidebook or online. Look for the plants its caterpillars eat and place a couple of those leaves in the box. 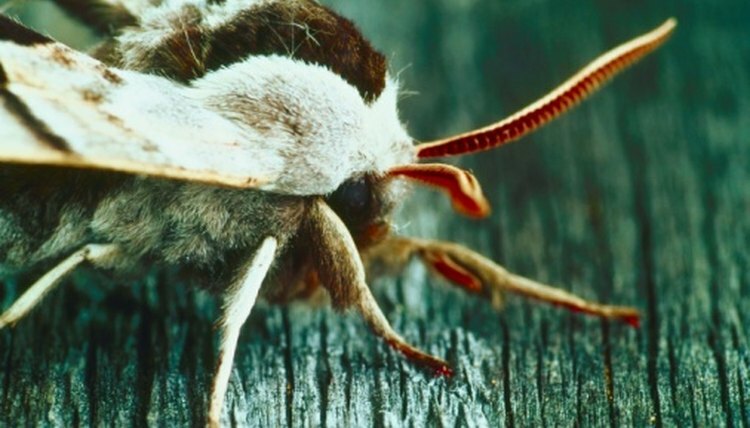 The moth may be a female and may lay eggs, which you can raise.